Alannah is a graceful veil, for a graceful bride! 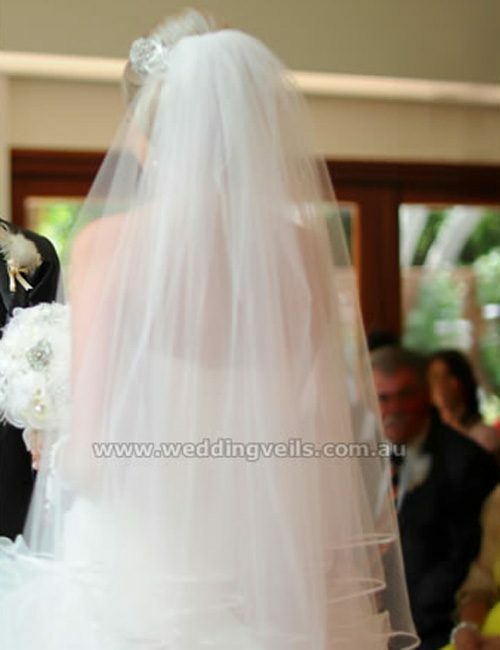 This cascading or circular veil has a 3mm satin edging. Can be worn towards the back of the head, or under an up-do, and the top tier can be worn over the face as a blusher. 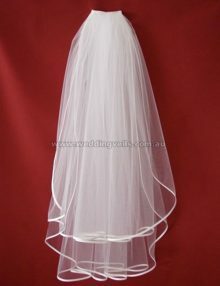 Available in waist length (80cm), and fingertip length (100cm). Made in medium fullness. 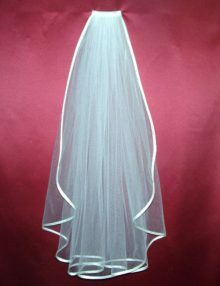 This veil is worn by Zoe F.